For everyone who wants to enjoy delicious food AND stay fit and healthy. Use ground bison instead of beef. Bison (or buffalo) meat is much leaner than any cut of beef, and in a big pot of chili, nobody can tell the difference. And the addition of a good bottle of beer -- preferably something deep and flavorful, like a stout or porter -- makes it even better. Serve some of the beer with the meal! 1. Heat 2 T of the oil in a large soup pot over medium-high heat. Add next five ingredients (onion through green pepper) and sauté, stirring frequently, until veggies start to soften, about 4 minutes. 2. Stir in chili and chipotle powders. Add next 5 ingredients (black beans through water) and stir well. Reduce heat to medium, cover pan. 3. Meanwhile, heat the remaining 1 T oil in a medium skillet over medium-high heat. Add bison and cook, crumbling meat with a wooden spoon as it cooks. 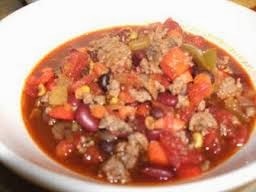 When the meat has no pink left in it, remove with a slotted spoon and add to the chili. 4. Stir in beer, and add more water if you want a more soupy consistency (leave it as is if you prefer stew-like chili). Cover pot, reduce heat to low, and let the chili simmer for at least 15 minutes to let all the flavors combine. Serve over rice, with corn chips or (my favorite) cornbread. Pass a bowl of grated jack or cheddar cheese at table, if you want. You can freeze leftovers and have it again on a cold winter night. Foodies in the metro Cincinnati area, take note. 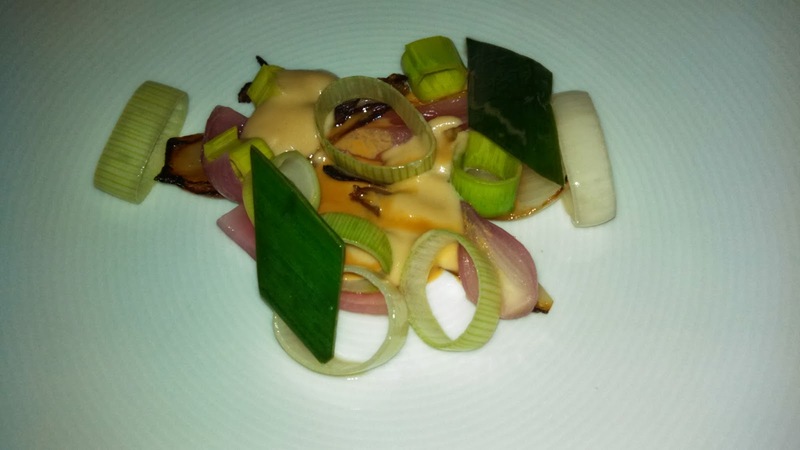 Nuvo at Greenup, a less-than-six-months old venture by chef/owner Mark Bodenstein, might be the best restaurant in town. We (finally) made it over there -- Covington KY -- last night, and it was a first rate dining adventure. There's no menu; they just bring you what Mark is cooking, which consists of anywhere from six to ten or more courses. 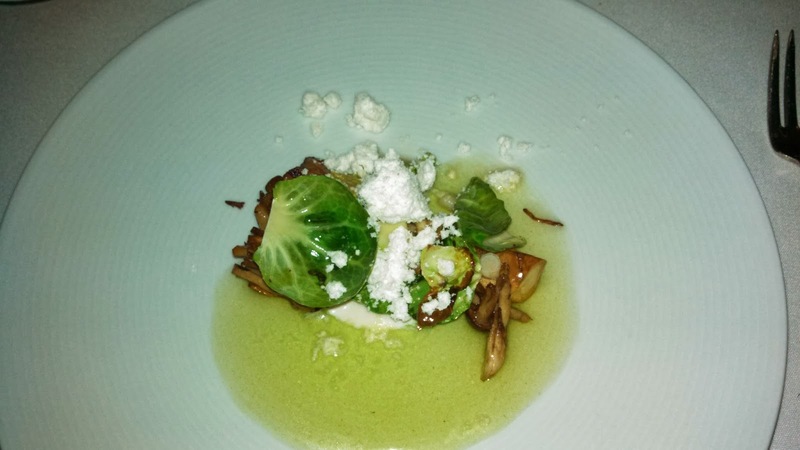 Our servers said it could be six fairly substantial courses or up to ten smaller portions. We hit it when they were doing the ten-spot. The restaurant is in a small house on Greenup Street near the Ohio River, which has been a few other restaurants in the past, including an old favorite of mine called Wildflower, which served the healthiest and freshest food within walking distance of my former place of employment. Nuvo has modernized the interior, and the decor is minimalist but pleasant. There's a lovely garden/patio in back which of course was totally off limits in this dreadful cold and icy winter we're suffering through, but they intend to revive it when the weather improves. Upon being seated, you choose your beverages -- beer and wine only, no mixed drinks -- and confirm any dietary restrictions (they ask when you make reservations, which are a must as the place is very small and many foodies already are onto it). The price is $45 per person, not including whatever you decide to drink. You also can add wine pairings chosen by the staff for $40. The wine list was short but interesting, I thought, and while we didn't select the wine pairing, other tables nearby did, and I noted the clever choices served by the beverage manager, a woman named Marie. The concept, it seems to me, is to take mostly familiar ingredients and combine or prepare them in ways you probably never have had before, or even thought of having. "Knife and fork onion soup"
Toward the end of the meal -- right before dessert -- was a pappardelle with crawfish that was a favorite. Also a mushroom preparation that knocked us out. 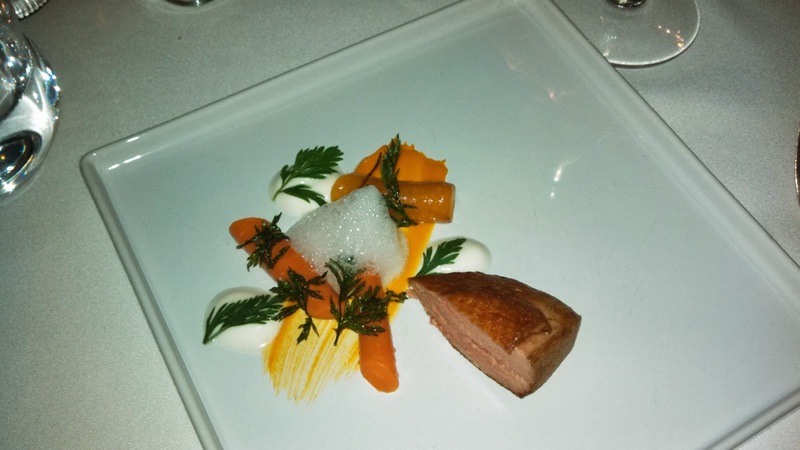 And they did a fine little take on duck breast with carrots prepared several different ways, including a garnish of fried carrot tops. All in all, delightful. We look forward to trying it again in different seasons of the year, especially to see what he does when local produce is at its peak. ONE DOWNER: I told them that my husband doesn't eat red meat, but they served him pork and pork sausage anyway. Gamely, he ate it without complaint, but next time I call for a reservation I will mention this lapse and ask that they are more careful next time. If you don't already follow this important healthy-foodie rule -- what's your excuse? That is: always start your day with a healthy breakfast. Even a less-than-healthy breakfast (bacon and the like) is better for your weight control and overall health and well being than no breakfast at all. Ever skip breakfast, secretly hoping you'll fit into your jeans better if you do? It's a natural thought. Less food in your belly means more room in your waistband, right? Think again. New research shows that skirting the ritual of a morning meal can totally sabotage your waistline by setting you up for minimal calorie burn and a bigger appetite throughout the day. 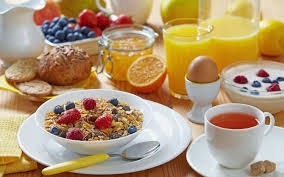 In fact, breakfast skippers are twice as likely as breakfast eaters to pile on pounds, according to the study results. It may be because energy-deprived breakfast skippers tend to be less active throughout the day, so they burn fewer calories. On top of that, when people skip breakfast, their blood levels of ghrelin -- a hunger-inducing hormone -- creep higher, upping the odds of downing a supersized meal or high-calorie treat later in the day. Here's yet another potential benefit of eating breakfast: a richer, happier life. Yes, really. In the study, people who often skipped their a.m. meal reported bigger drops in vitality, social functioning, and mental and emotional well-being compared with the breakfast eaters. So belly up to the breakfast table each morning. You'll look better and feel better if you do. Dining out is fun, but perilous. Don’t arrive starving! Eat a little healthy fat -- like about six walnut halves -- before a meal. The healthy fat in walnuts triggers a chain reaction that slows the rate at which your stomach empties, so you’ll feel fuller faster. But the chain reaction takes 30 minutes, so plan for it. Raise a glass. Of water. To your lips. This can fill you up, so you don’t overeat. Ask for cut-up veggies instead of bread. Most quality restaurants (including inexpensive ones) provide this option. Dip in olive oil. If the restaurant brings you whole-grain bread, dip it in olive oil. People who opt for this over butter eat less bread. Request the bottles. Order oil and vinegar on the side. Relying on the kitchen to dress your salad -- even with oil and vinegar -- can deliver as many as 450 extra calories! Share. Get one dessert for every four or five people, and have just a few bites. If there are just two of you, take half of the dessert home, and freeze it for a special occasion. Savor your wine. 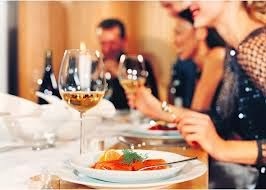 Ending a meal with a glass of wine lets you avoid the cloying aftertaste of sweets . . . and helps you avoid calorie-bombs, too. Go European. Do what many Europeans do: Make salad the last thing you eat. Even if you follow all the best health habits to the letter--and let's face it, who does?-- you can't control every variable. Genetics (family health history) plays a huge part in our fate, and those factors are totally out of our control. Therefore, be sure to get regular checkups and all recommended screening tests for your age and gender. 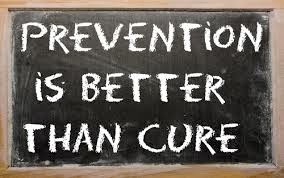 Pay attention to your body and don't ignore physical or emotional symptoms that you know aren't right. I have personal experience to attest that even healthy foodies can have life-threatening health challenges well before old age. My father, grandfather and brother all have or had coronary artery disease -- a bad heart. Those same genes reared their head, so to speak, on my own heart a few years ago and I've had to deal with it ever since. Suffice it to say that we should never take our good health for granted. Snacking is Good....If you "snack smart"
I don't skip meals, and I don't skips snacks, either. 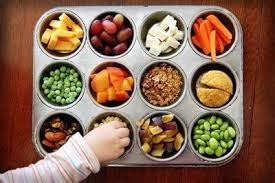 While not all nutritionists agree about the wisdom of snacking, I find it helps me keep from eating too much at mealtime. The key, of course, is to choose your snacks wisely. Having healthful snacks at hand makes it far less likely you'll grab a coworker's cookies or hit the vending machines. My top snack strategy is to make several days' worth of raw veggie and fruit snacks, put them in single serving zip-lock plastic bags and grab one when needed. My baggies usually include slices of orange bell pepper, crispy-sweet sugar snap peas, and apple slices. A small tangerine (Clementine) is a good fruit choice, too. As summer approaches and apples become mealy, I'll find a substitute fruit such as a handful of cherries. I'm a huge fan of Trader Joe's peanut butter pretzels, the variety with "no salt on the pretzel." You still get salt in the PB itself, so you won't feel deprived of a salty snack. At the same time, you won't be overdoing the sodium. Joe's also has a multigrain corn chip that satisfies my urge for a savory crunch. In the evenings I want something sweet, so I might go for a few squares of dark chocolate -- a favorite "everyday" chocolate is Lindt's Intense Orange. Stopping at 3-4 squares can be a challenge, though, so don't go there if your tendency is to eat the whole bar. Otherwise, I like the single serving puddings you can find in the dairy case--Kozy Shack rice pudding or chocolate pudding are both quite good. And no temptation to eat too much, since it's portion controlled. Other recommended snacks -- choose the ones you like best -- include a container of low-fat or fat-free, no sugar added yogurt; a handful of no-salt-added nuts; a small bowl of cereal with skim milk; crackers (or apple slices) with a smear of crunchy, natural peanut butter; one piece of string cheese, maybe with a half a pear. Smart snacking can help keep your blood sugar level, your energy on an even keel, and minimize the danger of falling off the healthy foodie wagon! We had our best meal yet at Jose Salazar's place in OTR (Cincinnati, y'all). This barley risotto was rich, and incredibly tasty. My day job is college professor -- of mass communication and journalism, at the University of Cincinnati. I've probably got a few more years to go, and it's a good gig. Love to travel, cook, dine out, and work out.